As you might already know, porcelain veneers are thin shells of medical grade ceramic attached to the front surface of the teeth. They are most commonly used for fast teeth restorations, as well as aesthetic enhancement. The resilient nature of ceramic makes porcelain veneers a long term solution for minor corrections, teeth whitening and overall improvement of your smile. The first process was developed in the early twentieth century by Hollywood dentist, Dr. Charles Pincus. It was originally created as a technique to improve an actor’s smile, In fact, some of the greatest photos in Hollywood history ow a great deal to Pincus’s technique. In the 1960s Dr Bunocore improved on Pincus method’s by developing a stronger binding agent that allowed “false fronts” to last longer. This new binding agent would then be used by Calamia and Simonsen in 1982 to experiment with porcelain veneer; creating the basis for the procedure that we still use up to this day. Nowadays, veneers are a simple and affordable solution, with current technology, a dentist can design and print a set of veneers in a matter of minutes; if you want a quick and perfect smile like a movie star, then look no further. Having said that, not every patient is suitable for veneers; the procedure requires healthy teeth to support it. If you have an infection or show signs of tooth decay, gingivitis, or other periodontal diseases; you will need to treat it, before you can opt for veneers. But why?, in order to place the porcelain veneers the dentist needs to work on the teeth, and remove a small amount of enamel. If your tooth is weakened by a condition, then it could shatter during the placement; or worse yet, the veneer could fall, wasting all that work. The good news is, that once the dentist has dealt with any of these conditions, the patient may then opt for veneers. In fact, porcelain veneers can be precisely what a patient needs after dentistry to restore a white, bright an beautiful smile. On the other hand, if you suffer from bruxism (teeth grinding), I wouldn’t personally recommend that you get veneers. 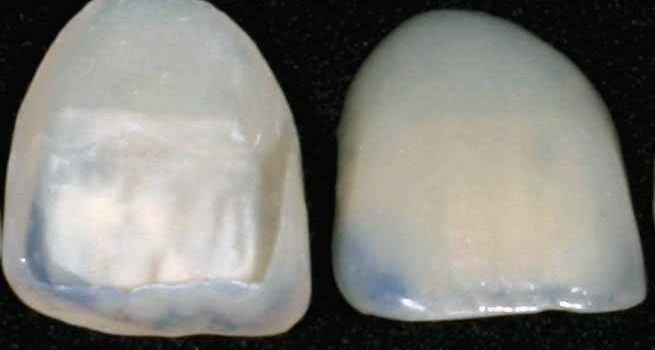 Although porcelain it’s an extremely durable substance, and the likelihood of complication are extremely low; the fact is that patients with teeth grinding could fracture the veneers, which would need to be replaced. In what situations would porcelain veneers be the best choice?